Africa lost $854 billion in illicit financial outflows from 1970 through 2008, according to this 2010 report from Global Financial Integrity (GFI). Illicit Financial Flows from Africa: Hidden Resource for Development debuted new estimates for volume and patterns of illicit financial outflows from Africa, building upon GFI’s ground-breaking 2008 report, Illicit Financial Flows from Developing Countries: 2002-2006, which estimated that developing countries were losing as much as $1 trillion every year in illicit outflows. 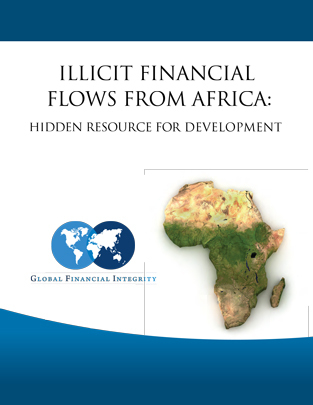 This 2010 Africa illicit flows report featured prominently at the 3rd Annual Conference of African finance ministers in Malawi. Hiding in Plain Sight: Trade Misinvoicing and the Problem of Revenue Loss in Ghana, Kenya, Mozambique, Tanzania, and Uganda: 2002-2011.